Date: Sunday, 7 September. Venue: Westfalenstadion, Dortmund. Kick-off: 19:45 BST. Coverage: Listen on BBC Radio Scotland 810MW/DAB/online, live text commentary on BBC Sport website. Germany have called up Mario Gomez, Marco Reus and Antonio Rudiger for next month's opening Euro 2016 qualifier against Scotland. Bastian Schweinsteiger is injured while Miroslav Klose, Philip Lahm and Per Mertesacker have retired from international duty since the World Cup. World Cup final-winning goalscorer Mario Gotze is in Joachim Low's squad, along with Chelsea's Andre Schurrle. Arsenal pair Mesut Ozil and Lukas Podolski are also included. Fiorentina striker Gomez, Borussia Dortmund midfielder Reus and Stuttgart defender Rudiger were not part of Low's World Cup squad. The world champions will host Argentina in a friendly on 3 September before Scotland's visit on 7 September. The qualifier will take place at Dortmund's Westfalenstadion. Scotland coach Gordon Strachan named his squad last week with uncapped Celtic midfielder Callum McGregor included but Robert Snodgrass unavailable because of injury. Goalkeepers: Manuel Neuer (Bayern Munich), Roman Weidenfeller (Borussia Dortmund), Ron-Robert Zieler (Hannover 96). Defenders: Jerome Boateng (Bayern Munich), Eric Durm (Borussia Dortmund), Matthias Ginter (Borussia Dortmund), Kevin Großkreutz (Borussia Dortmund), Benedikt Howedes (Schalke), Mats Hummels (Borussia Dortmund), Antonio Rudiger (Stuttgart). Midfielders: Julian Draxler (Schalke), Mario Gotze (Bayern Munich), Sami Khedira (Real Madrid), Christoph Kramer (Borussia Monchengladbach), Toni Kroos (Real Madrid), Mesut Ozil (Arsenal), Marco Reus (Borussia Dortmund), Andre Schurrle (Chelsea). 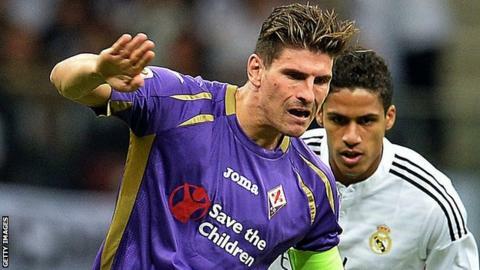 Forwards: Mario Gomez (Fiorentina), Thomas Muller (Bayern Munich), Lukas Podolski (Arsenal).